Le Stanze by Poliziano is a great red whose name is reminded by the poet Angelo Ambrogini as "The Poliziano". 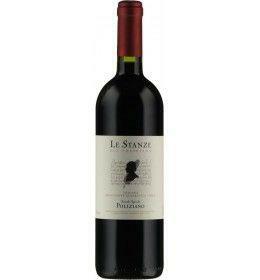 Obtained from Cabernet Sauvignon and Merlot, Le Stanze is a classic "bordolese" cut to "Tuscany", which despite its international taste, does not forget the value of the territory of Montepulciano and its potential in the production of great wines from aging. 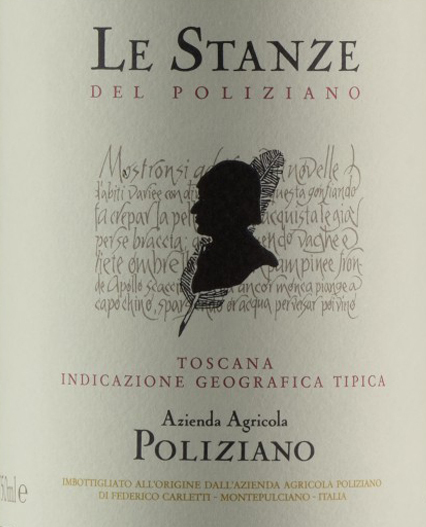 THE WINE Le Stanze by Poliziano is a great red whose name is reminded by the poet Angelo Ambrogini as "The Poliziano". Obtained from Cabernet Sauvignon and Merlot, Le Stanze is a classic "bordolese" cut to "Tuscany", which despite its international taste, does not forget the value of the territory of Montepulciano and its potential in the production of great wines from aging. THE COMPANY Our company was born in 1961 and in 50 years it has become a true Tuscan winery known all over the world. Poliziano is the name that founder Dino Carletti, father of current owner Federico Carletti, chose for the company in honor of humanist Angelo Ambrogini and its roots. A name that reflects an important vocation: attention to the territory, love for one's own story, the tradition of innovation. Our wines recall the historic tradition of the area but are able to speak to the world. Their is a long story: born in the 80s, they retain their original labels but refined and evolved, pursuing the goal of uncompromising quality. Each of our wines is predominantly made from Sangiovese grapes, called in the area with the historical name of Prugnolo Gentile. THE HISTORY My family had the first contacts with the world of viticulture in 1961, when my father, Dino Carletti, purchased 22 hectares of land in the municipality of Montepulciano, where he planted the first specialized vineyards in the area. To suggest to my father that investment was more heartfelt than economic reasons, dictated by the desire to keep alive the contact with the places of his childhood and with the culture of his own country of origin. This bond, rather than producing immediate results in the management of the company, influenced above all my training choices, which led me to Florence, where I graduated in agriculture in 1978. In the years that followed, I had a job in a farm in northern Italy, where I did not care about viticulture, but where I could enrich my training with precious experiences. At the end of 1980, at a delicate moment due to the economic crisis and the decline in consumption, I decided to accept the challenge and take over the management of my company, setting a new and more modern production philosophy, according to my personal view of agriculture . Immediately, the passion for the art of "making wine" pushed me to confront the most advanced techniques in use in viticulture and in international arena, creating an ever closer and more profitable dialogue with industry specialists and with the Chianti Classico producers. I soon realized that the company's renewal could only take place through the synthesis of the best technical knowledge, courage and creativity. The result of the combination of these ingredients is the new Viticulture of Poliziano, thanks to which for more than a decade our wines, strictly based on the Prugnolo Gentile, know how to assume an international style of great pleasure, while maintaining a strong bond with their territory of origin. In over thirty years of wine-winemaking my company never made a decision with the comfort of market analysis, but all the choices were inspired by my great passion for agriculture and the real emotion of imagining and theorize a vineyard, grape, wine and then see them finally made after having followed them step by step throughout their lives. Looking to the future, I propose to consolidate the well-identifiable character of my products, which will be born from the new vineyards, and in this perspective I carry out a continuous and passionate research, which never ceases to verify all the possibilities of qualitative growth of my wines. In recent years, research has focused on the environmental sustainability of viticulture, with the decrease in the use of chemicals with study and testing of organic farming and biodynamic agriculture. In the cellar we have increasingly applied a natural oenology where technology is respectful of the original and classic wines. Before 50,00 € tax incl. Tasting Color: intense garnet red. Bouquet: hints of cherry and blueberries, enriched with pleasant balsamic notes. 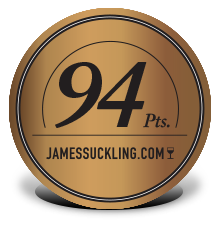 Taste: fresh, balanced and structured, with silky and sweet tannins and a persistent finish. Our company was born in 1961 and in 50 years it has become a true Tuscan winery known all over the world. Poliziano is the name that founder Dino Carletti, father of current owner Federico Carletti, chose for the company in honor of humanist Angelo Ambrogini and its roots. A name that reflects an important vocation: attention to the territory, love for one's own story, the tradition of innovation. Our wines recall the historic tradition of the area but are able to speak to the world. Their is a long story: born in the 80s, they retain their original labels but refined and evolved, pursuing the goal of uncompromising quality. Each of our wines is predominantly made from Sangiovese grapes, called in the area with the historical name of Prugnolo Gentile. My family had the first contacts with the world of viticulture in 1961, when my father, Dino Carletti, purchased 22 hectares of land in the municipality of Montepulciano, where he planted the first specialized vineyards in the area. To suggest to my father that investment was more heartfelt than economic reasons, dictated by the desire to keep alive the contact with the places of his childhood and with the culture of his own country of origin. This bond, rather than producing immediate results in the management of the company, influenced above all my training choices, which led me to Florence, where I graduated in agriculture in 1978. In the years that followed, I had a job in a farm in northern Italy, where I did not care about viticulture, but where I could enrich my training with precious experiences. At the end of 1980, at a delicate moment due to the economic crisis and the decline in consumption, I decided to accept the challenge and take over the management of my company, setting a new and more modern production philosophy, according to my personal view of agriculture . Immediately, the passion for the art of "making wine" pushed me to confront the most advanced techniques in use in viticulture and in international arena, creating an ever closer and more profitable dialogue with industry specialists and with the Chianti Classico producers. I soon realized that the company's renewal could only take place through the synthesis of the best technical knowledge, courage and creativity. The result of the combination of these ingredients is the new Viticulture of Poliziano, thanks to which for more than a decade our wines, strictly based on the Prugnolo Gentile, know how to assume an international style of great pleasure, while maintaining a strong bond with their territory of origin. In over thirty years of wine-winemaking my company never made a decision with the comfort of market analysis, but all the choices were inspired by my great passion for agriculture and the real emotion of imagining and theorize a vineyard, grape, wine and then see them finally made after having followed them step by step throughout their lives. Looking to the future, I propose to consolidate the well-identifiable character of my products, which will be born from the new vineyards, and in this perspective I carry out a continuous and passionate research, which never ceases to verify all the possibilities of qualitative growth of my wines. In recent years, research has focused on the environmental sustainability of viticulture, with the decrease in the use of chemicals with study and testing of organic farming and biodynamic agriculture. In the cellar we have increasingly applied a natural oenology where technology is respectful of the original and classic wines.